With millions of users, Instagram becomes one of the best social media platforms. Unlike Facebook, Google+ or Twitter where people share quotes and other medias whereas Instagram is totally devoted to uploading/sharing images. 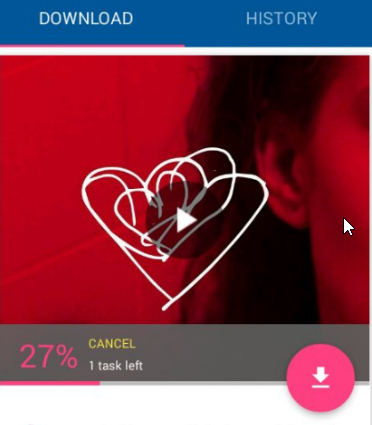 You can upload videos too. The whole point is to be social and make interaction. To achieve that people use memes instead of uploading just pictures, so the environment of tagging people on those memes can be created. But people are active on other social media also and if they find something interesting on Instagram they will probably want to share on other social media platforms. But since Instagram don’t have such option to download or save Instagram images or download Instagram videos then you need to use third-party software. 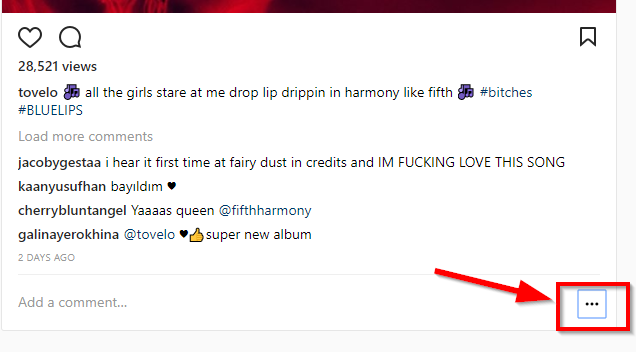 We already have a post on how to save Instagram photos so we are skipping that, and going to show you how to save Instagram videos on PC or mobile device. Use this link and download InstaDownloader from Play Store on your Android. 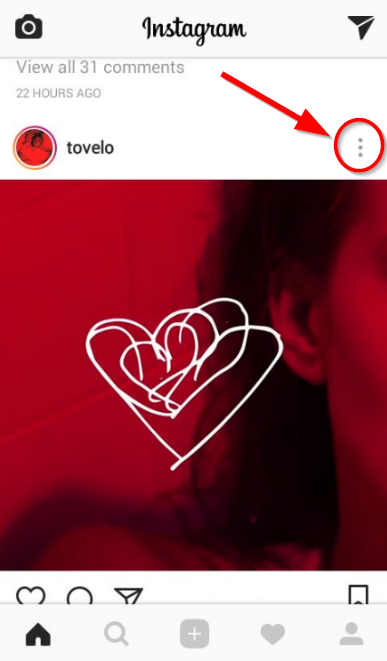 Now go back to your Instagram account, find that video you wanted to download, select the three dots button on the top right side of the video. It will give you options, choose Cop Link. 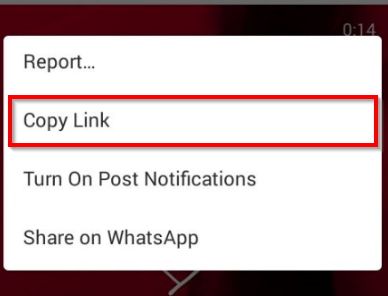 After clicking the Copy Link option, the link will be copied and then you need to go back to InstaDownloader, and paste the URL into the URL box. 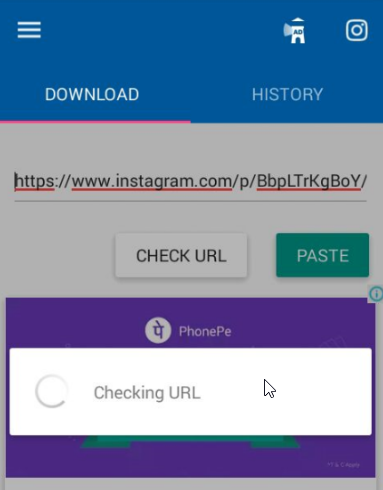 Once you paste the URL, It will automatically run the checking URL process and then started downloading the video. When the process is completed your Instagram video will be saved in your gallery. Now you can share that saved Instagram video from your gallery to other platforms wherever you want. Or you can go to Instadownloader’s History section from where with each video you will get the share option. The first thing you need to do here is copy the video link. So open Instagram web version from here. Find the video and copy the URL of it by clicking the three dots from down right corner of the video and choosing Embed option. From embed url copy only video link and neglact other portion of that embed URL. 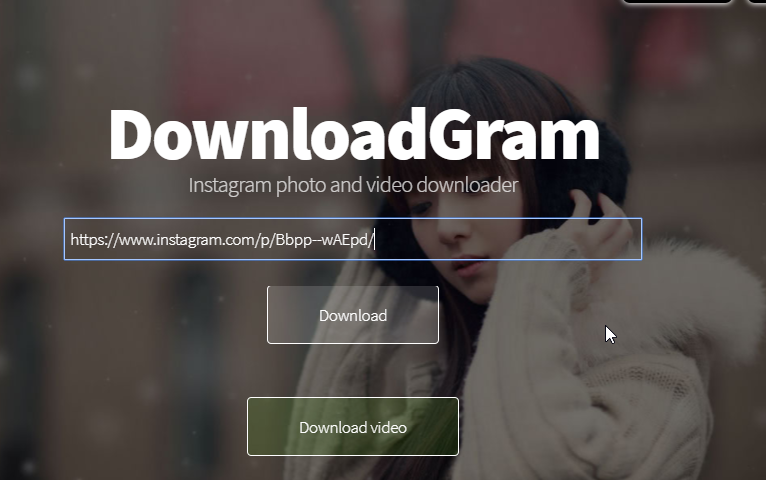 Now go to DownloadGram site from here. 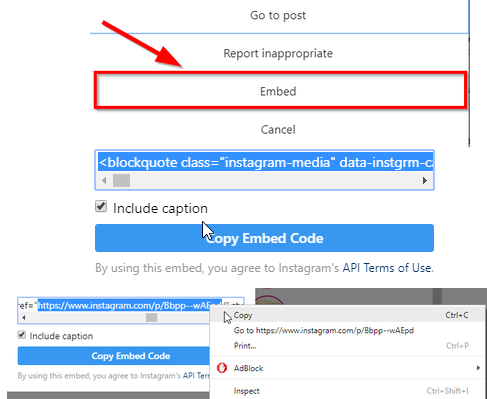 On the homepage, paste that video link that you copied from instagram site. Click the Download button and it will fetch the Video link and give you another Download video button below to the previous one. Click that one and the video will be started downloading instantly. Both methods are good enough to download Instagram, thing is which platform you are having right now between these two. Get Latest Skills To Inbox!